distribution in an early stage. The involvement of industry in defining research activities aims at enhancing the rapid uptake of innovation by SMEs. The inventory will enlarge the team of important textile universities and renowned materials research centres and will identify new collaborations. Synergy will be reinforced and created which will enable to identify and develop new functional materials. Training materials for research and industry purposes will be elaborated and implemented, allowing a common language regarding functional textiles, and increasing the number of well-trained people in this field. 2BFUNTEX partners will organise and participate in conferences, workshops and brokerage events. Through the development of an interactive website with an extensive database, collaboration will be boosted and rapid industrial uptake catalysed and enhanced. The 2BFUNTEX consortium includes 26 partners from 16 European countries deputizing all important sectors – fundamental research and education on textiles and related materials (universities and research institutes), economic, policy, foresight and complexity management (research institutes and SMEs), associations of SMEs, and a governmental chamber of commerce and industry. Paul Kiekens (1955) is a Professor and Head of the Department of Textiles at Ghent University, Belgium (since 1988). He is a graduate from Ghent University (Gent, Belgium) and holds a PhD in physical chemistry (1982) and one in textile technology (1987). 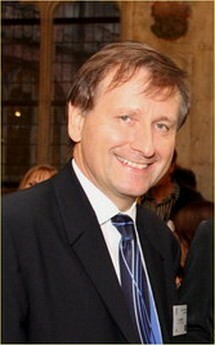 He was Dean of the Faculty of Engineering, Ghent University from 2002 till 2004. He is the executive coordinator of AUTEX (Association of Universities for Textiles) and the former president of ENMat (European Network of Materials Research Centres). Over the years, he wrote more than 200 international publications and several books. He is an official reviewer for the European Science Foundation (ESF). He is a member of the Fibre Society, the American Association of Textile Chemists and Colorists, the Society of Dyers and Colorists, the New York Academy of Sciences and the European Academy of Sciences, Arts and Literature.